The district council and local residents are working together to put a piece of 'surplus' government-owned land into use to benefit local people. Residents in the village of Gartree were invited by Harborough District Council to attend a public meeting at Foxton Primary School on November 20 to discuss the plans and opportunities. 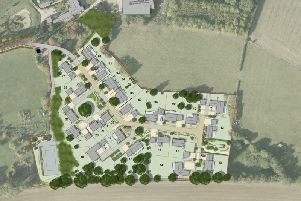 A parcel of surplus land in the village is owned by the Ministry of Justice and the discussions relate to what can be done with the land to benefit local people. It was agreed at the meeting that Midlands Rural Housing, working with the district council and parish council, would undertake a survey in the new year to understand both the possible housing need of the local community and options for community facilities residents would like to see provided. The district council said it will continue to work closely with the Ministry of Justice, the local residents and parish council to consider all options. After the completion and analysis of the survey, residents will have an opportunity at a further public meeting to review these findings and to consider any benefits they’d like to see which might include road surface improvements, new trees and landscaping, and new play equipment for local families.